We’d love your help. Let us know what’s wrong with this preview of Zombie Killa by Jason Z. Christie. A gang of nerd rappers accidentally unleash a zombie queen, and must fight their way from Florida to Texas to defeat her using science, magic and guns. Hilariously. To ask other readers questions about Zombie Killa, please sign up. I started the book and almost gave up right then. Not only did it start slow-but then Shaun of the Dead did too-it also had a lot of jargon and big nerdy words that I couldn't get at all. And the first mention of Router wasn't all that, either. Then the book picked up its pace and proved me wrong. Zombies, Pirates, Ninjas, Nerds, Smart mouthed women..the story had everything! And it was exactly the right length. The humor was just my type and despite some (okay, many) references that I didn't get, I loved it! Zombie fans, you just can't miss this one! This zombie novel was one of the funniest things I have ever read! Jason Z Christie has written a most entertaining read which I believe would even be enjoyed by those who don't normally read zombie fiction. If you don't have a funny bone, this is probably not the book for you. It's laden with references to rap stars, cult movies and drug paraphenalia. Not only are all the characters big techno nerds, but they're all drug crazies. Especially High-C and Myf. They're such lovable guys even if High This zombie novel was one of the funniest things I have ever read! Jason Z Christie has written a most entertaining read which I believe would even be enjoyed by those who don't normally read zombie fiction. If you don't have a funny bone, this is probably not the book for you. It's laden with references to rap stars, cult movies and drug paraphenalia. This is another one of those situations where I like the author but didn't really care for the book. Zombie Killa is heavy on the drug reference, which threw me off at the start. I read a portion of it and was going to just not finish it, because it was all drug-related, but noticed that someone said that they were glad they kept reading, because the second half of the book was great... I will give it that much, the second half of the book is much better. Not a bad book, but pot, coke, and tople This is another one of those situations where I like the author but didn't really care for the book. The only reason I gave this a 3 is because I didn't get a lot of it. I fully plan on 're-reading' this very soon, now that I have a better background feel. I will also post a proper review on BBB when I do. There is a 5 Star death in the very beginning! AND.. I also hold the original cover art, soo.. na na na na boo boo. I'll post as soon as I re-read, and I also plan on reading & reviewing Radar Love and Six Stories: Short and Sweet - very very soon. This review has been hidden because it contains spoilers. To view it, click here. 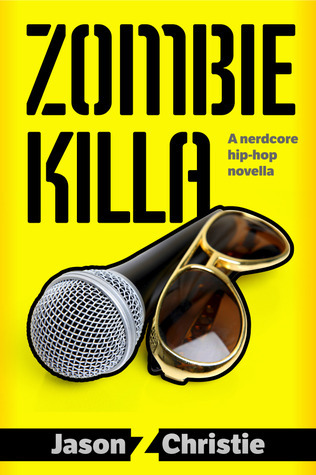 I had a lot of fun writing Zombie Killa. I think I probably wrote it in about three weeks. I know everyone in the book, more or less, having done shows with a lot of them. The first part of the books is something I actually had in mind for a screenplay, years ago. Then I met Lloyd Kaufman of Troma Films, and decided to try and write something for him. They're currently putting their money into a new Toxic Avenger movie, however. This was never intended to be a wide-release book, but the subject I had a lot of fun writing Zombie Killa. I think I probably wrote it in about three weeks. I know everyone in the book, more or less, having done shows with a lot of them. This was never intended to be a wide-release book, but the subject matter sort of took it out of the realm of the nerdrap scene. I'm quite happy with it, even though I get dinged quite often for the rampant drug use. The joke? None of those kids really do drugs. Nursehella doesn't flash her breasts at people. Zealous1 doesn't actually live with his mom. Beefy is probably not a chronic masturbator.